Fall has arrived in Baby Bear’s forest, and the woods are teeming with animals busily preparing for winter. How many animals? Count along from one to ten with Baby Bear as he and Mama hustle home to their cozy den—just in time for the season’s first snowfall. We did not choose this book so your child could learn to count to ten. Learning numbers will be important for your child, but learning that things can be counted is even more important. 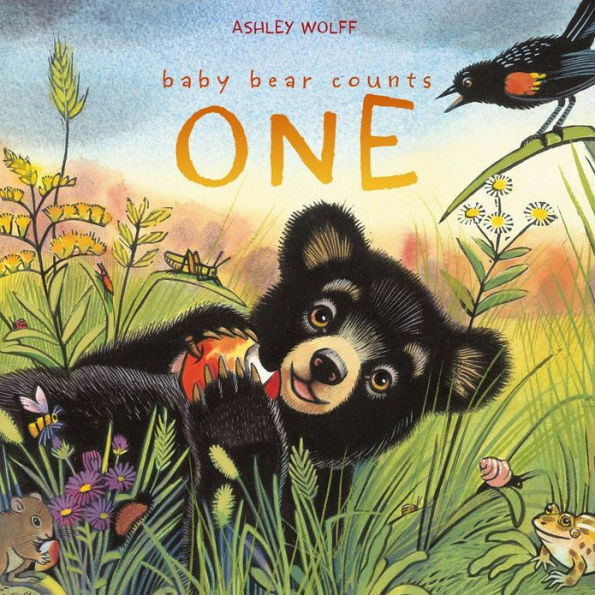 Your child will want to be like Baby Bear, who can count the animals, and like you, who can point to and count the animals as you go. While the page does not have the words “one, two,” consider saying them anyway. Point to each squirrel and say, one, two. As the animals get more and more crowded onto the page, the counting gets more interesting. And speaking of interesting, the more interest you show in the Maine animals on the page, the more curious your child will be. Baby Bear is curious about the sounds and behaviors of animals in the forest, and Mama answers Baby Bear’s questions. You can be like Mama Bear having conversations about the animals around you. If you and your child want to know more, ask your librarian for books on Maine animals.